I still didn't get much progress on my drawing. But I did get a few more puzzle pieces added. hmmm. you planning on putting those pieces together? Just teasing. It's very interesting and fun. Cool idea and nice sketch. A little progress beats none at all. 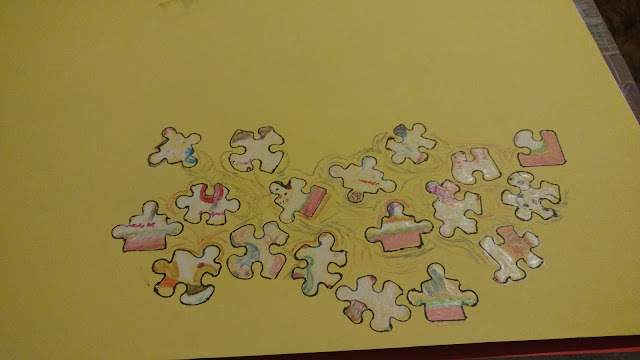 And your puzzle pieces have given me fun ideas to use with my neice, who's my little artsy protege.